The new book Budō no Gokui by Hatsumi Soke is available for pre-order now for only $23.60, it will be shipped in the end of June. Budo transcends simple combat techniques to ultimately attain a world of peace. Budo includes an array of martial arts developed in Japan, among them Aikido, Judo, Karatedo, Kyudo, and Kendo. In this book, grandmaster Hatsumi explores the essence of Budo, and demonstrates a range of important techniques relating to this essence. 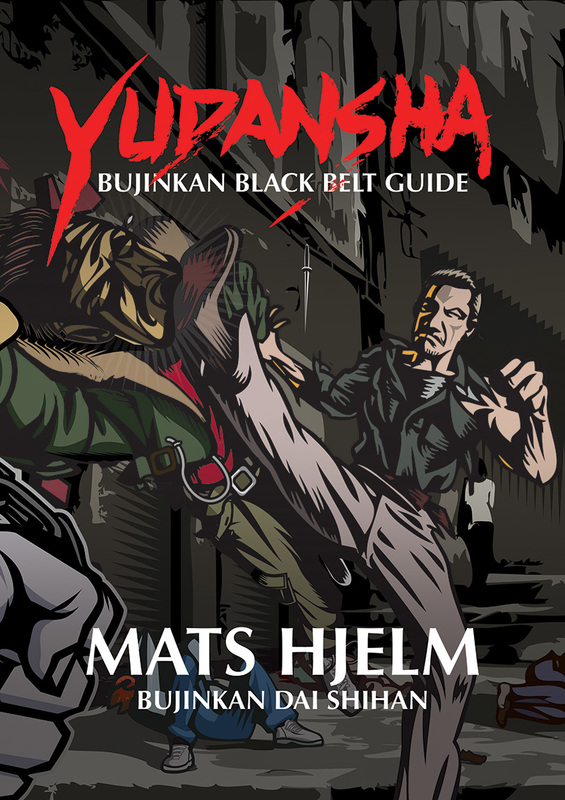 The author also reveals secret techniques and the hidden principles of the martial arts, and elucidates the words of his master, Toshitsugu Takamatsu, on Budo and life. Including some three hundred beautiful pictures depicting the author demonstrating his techniques, and around one hundred pictures of rare works of calligraphy, illustrations, and hidden documents on the martial arts and their role in Japanese culture, this book will be relevant and insightful to practitioners of all martial traditions including Judo, Aikido, Karatedo, Kendo, Kenjutsu, Jujutsu, Iaijutsu, and other various fighting sports. Masaaki Hatsumi was born in 1931. After progressing through various martial arts, he found his life’s mentor, Takamatsu Toshitsugu, and studied under him for the next fifteen years, becoming the 34th Grandmaster of Togakure-ryu Ninjutsu and eight other arts, which he unified into the Bujinkan system. While travelling the world, teaching thousands of individual students as well as law enforcement agencies, he received numerous accolades from politicians and spiritual leaders of many nationalities.